Study shows that MRIs in first trimester of pregnancy not associated with increased risk to fetus. Magnetic resonance imaging (MRI) has been used to evaluate obstetrical, placental, and fetal abnormalities in pregnant patients for more than 30 years. MRI is recognized as a beneficial diagnostic tool and is utilized to assess a wide range of diseases and conditions that affect the pregnant patient as well as the fetus. 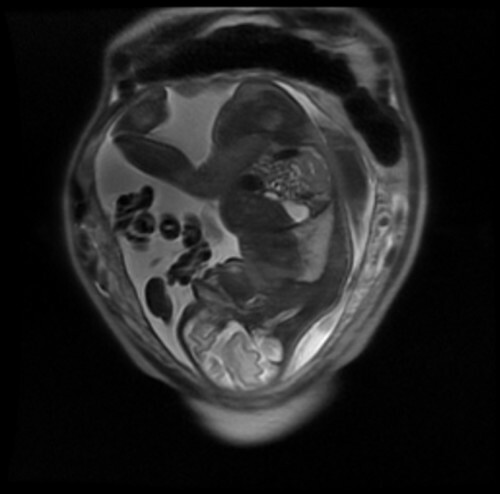 Despite this fetal safety of magnetic MRI during the first trimester of pregnancy is unknown. Now, a study from researchers at the University of Toronto shows that performing an MRI on a woman in the early part of pregnancy does not increase the risk of her baby being stillborn, dying soon after birth or having a birth defect. The team state that their findings also show that the children do not have a higher risk of vision loss, hearing loss or cancer in their first four years. The study is published in the journal JAMA. Previous studies show that magnetic resonance imaging is generally thought to be safe for the fetus in the second or third trimesters of pregnancy. However, there are no prior controlled studies on its safety in the first trimester, when the fetus forms its major organs and body structures. The current study evaluates the long-term safety after exposure to MRI in the first trimester of pregnancy or to gadolinium at any time during pregnancy. The current study examines the records of more than 1.4 million births in Ontario from 2003 to 2015 to inform clinical guidelines for MRIs on pregnant women. The lab compared women who had first-trimester MRIs with those who had not, and also followed their children up to four-years of age. Results show that having an MRI at the earliest stages of pregnancy does not appear to alter the development of the fetus. The lab state that their study also provides new evidence relating to how many pregnant women have MRIs. Data findings show that one in every 250 pregnant women in Ontario undergoes an MRI at some point in their pregnancy, including one in every 1,200 having an MRI in the first trimester. The group also compared women who had an MRI using the contrast agent gadolinium at any point in pregnancy, with women who did not have an MRI. Results show a higher risk of stillbirth or neonatal death in women who had a gadolinium-enhanced MRI, however, the number of these events was low. Data findings also show a slightly higher risk of the children developing a rheumatologic or skin condition. The researchers stress that even though the actual number of stillbirths was low (one in 50), and the outcome of a skin or rheumatological condition was very broadly defined, their results support clinical guidelines to avoid giving pregnant women gadolinium unless strongly indicated. The team surmise that their findings suggest exposure to MRI during the first trimester of pregnancy compared with nonexposure was not associated with increased risk of harm to the fetus or in early childhood. They go on to add that gadolinium MRI at any time during pregnancy was associated with an increased risk of a broad set of rheumatological, inflammatory, or infiltrative skin conditions and for stillbirth or neonatal death. For the future, the researchers state that their study may not have been able to detect rare adverse outcomes and this should be investigated further. Coronal T2-weighted (note the bright amniotic fluid) MRI of a gravid uterus in a women who presented with abdominal pain in the third trimester of pregnancy. © Copyright St Vincent’s University Hospital Radiology Department 2016.